Similarly, it hasn’t been a kind year to the blog itself. In 2015 it has only been updated once and even before that it was sparsely updated. There is no doubt that Anime Viking can be seen as an inactive, or possibly dead, blog at this point. This is an aspect I have reflected upon a lot lately in regards as to what should become of it. To those of you who waited and hoped for updates that never came, I apologize wholeheartedly. Believe me when I say it has been just as difficult for me. I still stumble as I am writing this to a certain degree, particularly as I now feel a pressure to live up to what’s been written in the past and not to mention the few other well-written blogs that are still active. This has made me question whether or not Anime Viking has any value, which is something I still haven’t found the answer to. What I do know, however, is that something would feel amiss without a blog. Without one there would be no outlet left to write longer texts and organizing my thoughts about anime. Yet, at the same time, the previous months have been filled with watching whatever and whenever with no regard as to what’s currently airing. I haven’t been active in online communities and am out of the loop with almost everything. Additionally, video games have been my primary source of entertainment rather than anime. In the midst of all this I have been considering trying to write about video games, but ultimately decided not to as Anime Viking is an anime blog. 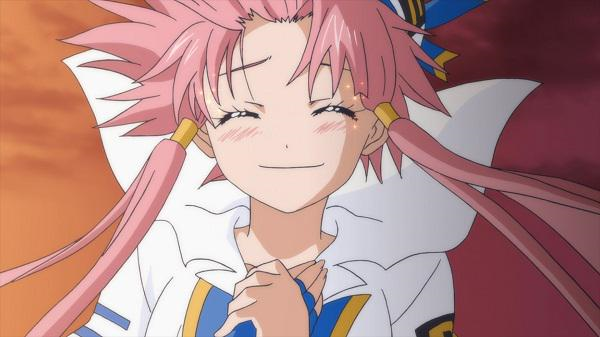 Furthermore, I am just as out of the loop with video game communities as I am with anime ones, despite it being an area I am more confident in. In the end, this line of thinking has led me nowhere. With all this being said, I will end this yearly update on a good note. Regardless of what will happen in the future, I do have a minimum of three blog posts I want to do before Anime Viking perhaps concludes or changes form. These are all tied to me on a personal level and while not necessarily unique, they’re all something I want to have created. This entry was posted in About the Blogger, About the Site, Personal and tagged Amanchu anime is happening, Anime, Anime blog, Anniversary, Blogging, Celebration, Crossroads, Growing up, Life, Trails in the Sky is happening, Video games, Writing. Glad to see you’re still around. I noticed our blogs went comatose around a similar time. For me, I no longer had time for hobbies or anything outside of work. I watched anime for the first time all year in October, but I didn’t consider it enough to write about. Hopefully the most turbulent times are coming to a close for you, so you can return focus to the things you enjoy. I hope you have more free time these days and that work is going well! Sounds really tough. Was it fun to watch anime again? And yes, I do believe the most turbulent times are over for now. Things have finally been calming down as of late, so I’m hoping for the best. You’ll just have to do what you feel is best in the end and no one can hold it against you, but yourself. So whatever that decision is, make it your honest one. Will be missed if you decide to stop. Hope you’ll continue reading till the end! Good to see you’re doing well. Do what you feel more comfortable doing. Discuss what you feel you can contribute more of. Will do! You did something similar considering your blog is all about yuri these days, didn’t you? I like what you write, whenever you choose to write it. I have you on RSS feed, so I don’t miss it when you do write something. It doesn’t matter if you go dormant for a while. As with volcanoes, dormant, doesn’t mean extinct. An even if you don’t have time to do the long form works we like, you can still write down idle thoughts that come while watching anime. It doesn’t have to be long to be interesting. It doesn’t have to be this season’s anime to be an insight. Do you have any particular texts you find more enjoyable? Or any aspect in general of Anime Viking that you enjoy? Whatever you decide, we’ll support you. Do what your heart tells you and what you need. C-Crazy opinions?! They’re not that crazy… I hope…? That’s awesome! Congratulations on your 4 years of anime blogging! Thanks! Hope it goes well for you, too! Congratulations on four years of blogging! I certainly understand how life never seems to care much about our plans. Don’t worry, your readers will understand whatever choice you make, because in the end you have to make the choice that is best for you. My only hope is that you don’t give up on writing and sharing as your work (in whatever form you end up choosing) as it really does a great job of bringing those with similar interests together and showing that we are not alone in said interests. Your writing has really matured over the years and is something that you should take great pride in. I have enjoyed reading your posts and following your blog over the years and will continue to read whatever you write regardless of the direction you choose to travel with it. Thanks for four memorable years of Anime Viking! I must say I agree with my writing having matured over the years. I wouldn’t call it a drastic change, but it’s definitely noticable. It’s a bit amusing to look through older texts and realizing you’re no longer the same person. As you say, I should take pride in it. Perhaps I should try creating a blog post about a game, just to see how it turns out. Would you be up for it? Once again, thanks for still being around! Congrats on staying for this long, Marow-senpai! I first saw your blog when I just started blogging (I didn’t read any aniblogs back then wow). I joined this blog of a friend of mine and saw your blog in his blogroll. Back then, I was amazed at how vocal anime fans can be in the internet. I could say yours was the first aniblog other than mine and our group blog that I saw. And the rest, as the cliche goes, is history. I want to thank you for keeping this blog. And more importantly, thank you for existing. For keeping on living. Because without you and without the personal posts you’ve written, I wouldn’t have thought about myself and whatever things going with me. I knew it wasn’t a smooth ride for you. And then I was convinced that it wasn’t for me, too. Nonetheless, with the words we’ve exchanged we’ve subconsciously supported each other. I know for sure that you’ve been one of my inspirations. Your writing is always fresh and easy to read. Before I knew it, I have been writing my blog posts with a personal touch to them. Thus, my blog has become a personal outlet of my feelings while also engaging with anime/manga. It does fill me with a special feeling knowing that I’ve been an inspiration, however. If I’ve helped you in any regard, then I’m happy. We haven’t spoken too much in private (but we should totally change that), but you’ve always been a kind person. So I’m hoping things are great for you. Your blog’s always been fun to read. Looking forward to reading your last few posts. Thanks. I hope you’re doing good. Miss you!